When you first bought your dog, taking holidays with her probably wasn’t something that you had even considered. Although there will be circumstances where you will have no choice but to leave your dog at home, perhaps with an experienced dog sitter while you go on your holidays, know that taking a break in New Zealand with your four-legged friend is fabulous and very, very possible. That is why we have compiled a list of the ten best dog-friendly accommodations in NZ. From motels, hotels Bnb’s and campsites. 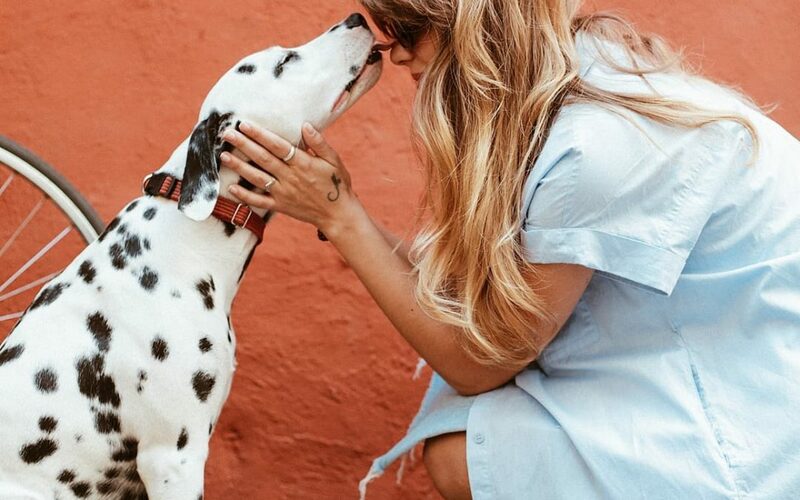 Take a look through and start planning your next vacation with your pet! This post may contain affiliate links. They cost you nothing, but we make a small commission. Before you think about taking your dog on holiday with you, make sure that she is well behaved and not suffering from any sickness that will cause you concern. 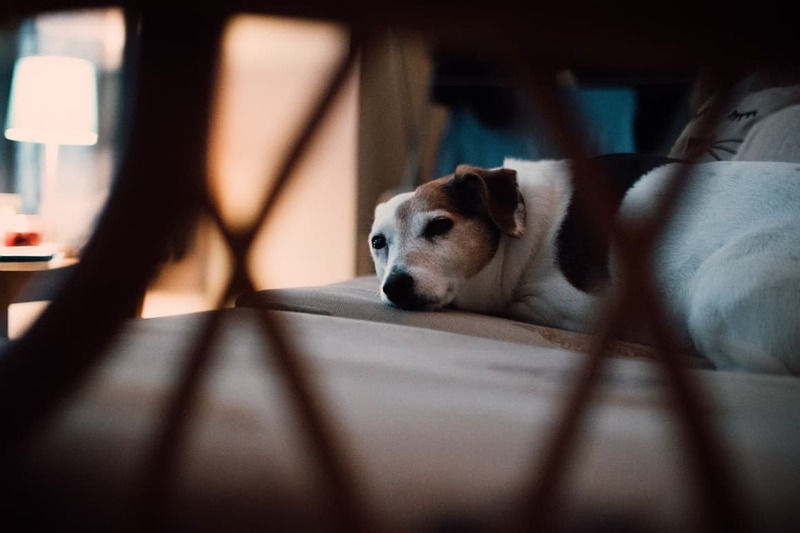 If your dog is on regular medications for an ongoing condition such as diabetes, make sure you discuss the trip with the vet before taking her away on her holidays. If she is a long haired breed that leaves a trail of fur behind her, be sure to give her a good brushing before you take her on her trip. The accommodation owner will thank you for it! If you are still in the process of training her to obey basic commands or she is a young puppy that is still in the socialising phase, then it may be wise to wait a while. If you have a well-trained dog then great! All of these accommodations in NZ will welcome you with open paws! The Jet Park Airport Hotel in Auckland. 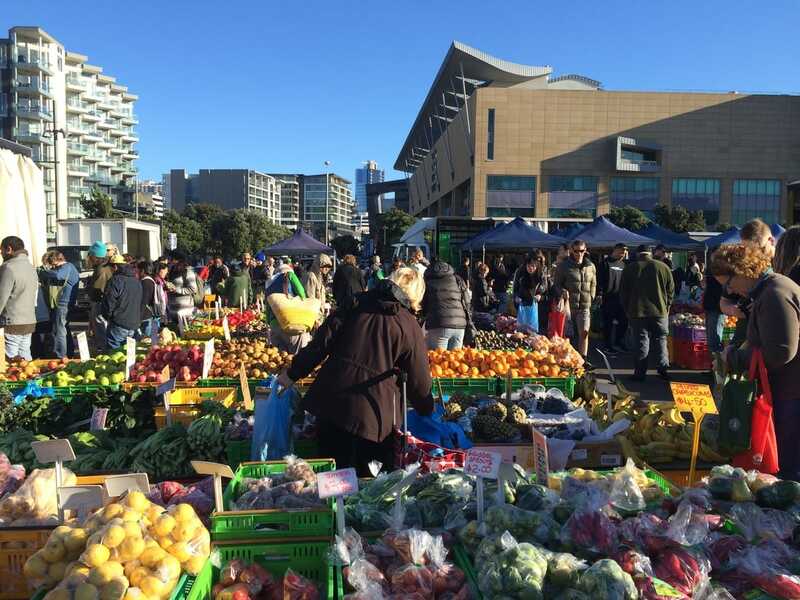 Pet friendly accommodation in Auckland. Auckland is a very dog-friendly city. 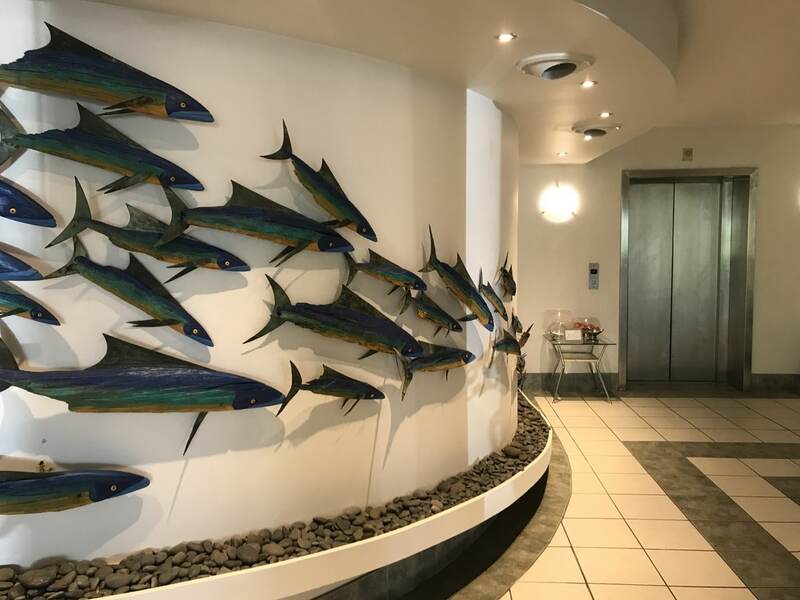 We include the Jet Park Hotel simply because not only is it an excellent pet-friendly hotel with friendly staff and super clean facilities, but because it also is close to the airport. It is one of the most pet friendly hotels in Auckland. If you are about to fly internationally and want your dog with you right up until the last minute, then this is the place for you! Or, perhaps someone is meeting you from the airport, and you would like them to bring pooch to the arrivals gate to meet you! The Jet Park Hotel in Auckland offers dog baskets and dog bowls and beautiful gardens that clean, leashed dogs are welcome to use. One of the most pet-friendly accommodation Rotorua. 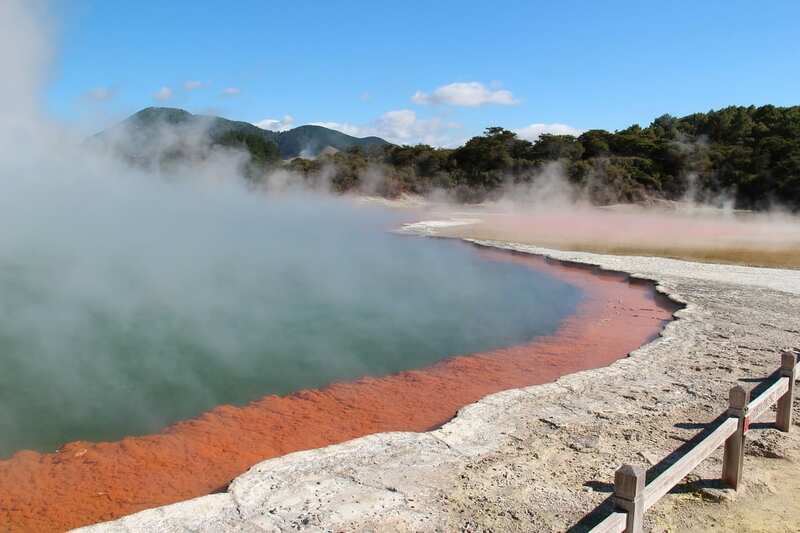 The Rotorua Thermal Park offers log cabins on a beautiful green and wooded site. If you are looking to visit the thermal pools with your pet, then this is the place for you! Dog’s are allowed on request and can enjoy long and leisurely walks on the lead around the large site. Free parking on site is also a bonus, making this wonderful place one of the best pet-friendly hotels in Rotorua. Rotorua is an exciting place to visit with your dog! Georges BnB Nature Lodge Taranaki. 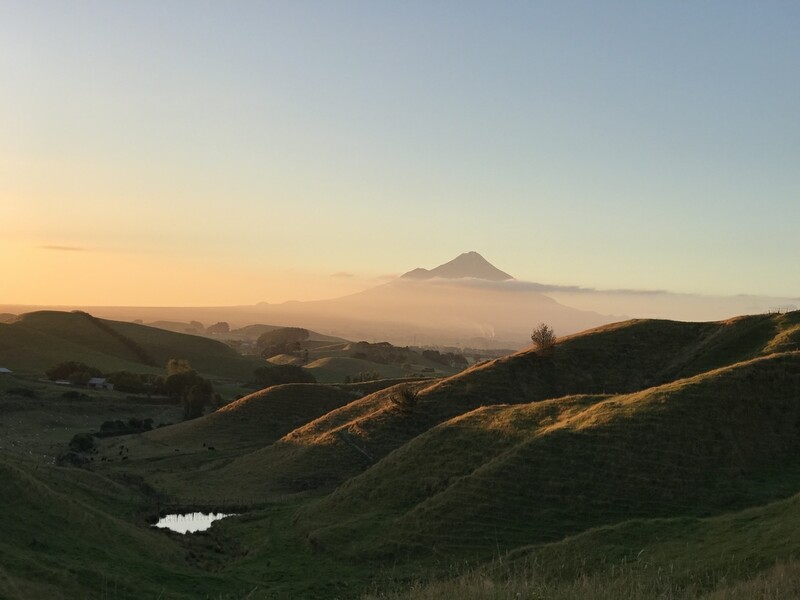 Taranaki was recently voted second best region in the world to visit, so should be on every kiwi and their dog’s vacation list! If you are looking for a dog-friendly accommodation with beautiful views of the majestic Mt Taranaki, then Georges BnB Nature Lodge is the place for you and your pet. The gardens are simply beautiful, and you will find more than enough space for your daily walks. George welcomes you and your well-behaved dog into his accommodation. If you are looking for a break to the mountains this winter and don’t want to leave your best friend at home, then you could stay at Frankie and Hughe’s BnB accommodation in Ohakune. This beautiful BnB is owned by super friendly hosts that will welcome you and your dog with open arms. Why not relax with pooch by the open fire or wander through the superb gardens together amongst the mature trees and ferns. This is a home away from home — the perfect accommodation for your North Island break. If you are looking for pet friendly accommodation in Wellington then this is for you. U Residence Hotel has one of the top rated locations in Wellington. Being right across the street from the museum means that you can breathe the sea air the sea on your early morning walk with your dog. Fabulous city views, this is one of the best pet friendly hotels in Wellington. The rooms are modern and spacious, meaning there is plenty of space for all of you! Guest reviews say that taking their pet to Wellington is made pleasurable by staying at the U Residence Hotel. The South Island of New Zealand is perfect for any dog’s vacation. Wooded walks, parks and streams, as well as cosmopolitan cities, are these attractions all waiting to be discovered by you and your pooch. Below are 5 of the most popular dog-friendly places to stay in NZ. Hokitika Sunset Lodge is a beautiful house with all of the comforts of home for you and your travelling dog. Spacious rooms, furnished tastefully and beautifully landscaped gardens for you to spend time with your pet. There is a sunset deck which boasts a luxurious hot tub. Perfect for you to relax into while your dog is sleeping in the warm and welcoming house. For those of you who prefer to go backpacking with your pet Bridge Backpackers in Nelson is the perfect place for you. A great location, right in front of the bus station in Nelson. There are both private rooms and dormitories. The private rooms accept pets. The common areas are comfortable and clean and the shared kitchen is more than adequate. Wifi is free and is super fast meaning that you and your pet can stream NetFlix together! With a free breakfast included in the price, The Bridge Backpackers is going to impress you and your dog. Roger and Kay who are the hosts of Sumner Bay Motel, pride themselves on providing the best customer service for pet and their owners who stay at their accommodation. The motel, which is situated in the heart of Sumner village, is within easy walking distance to the beach where you and your dog can enjoy long late evening walks together. With free parking and free internet, Sumner Bay Motel is the perfect place to take a holiday in Christchurch with your dog. Beaconsfield BnB is a beautiful and comfortable home in the countryside offering a fabulous cooked breakfast with home grown sausages. Raywyn and Pat, your hosts, welcome well-behaved pets to their accommodation and are more than happy to provide information on excellent dog walks in and around Invercargill. Fabulous views and a peaceful setting, this b’n’b might be just what you and your dog needs for a relaxing South Island holiday. The tranquil Queenstown. The perfect place to take your dog on holiday. Peninsular Lakefront Vacation Home. Queenstown. 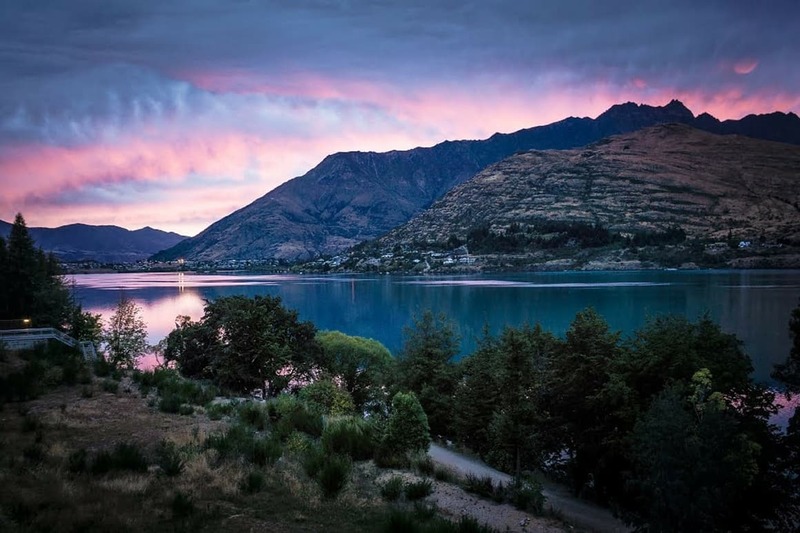 For dogs and their owners interested in relaxation, scenery and mountains, Peninsular Vacation Home is one of the best pet-friendly accommodations there is in Queenstown. Beautiful views of the lake, which at 100m from the accommodation, is easy for you and your dog to walk to and enjoy time together. Lots of lovely gardens and outdoor areas for you and your pet to relax and the best part of all? Your pets can come along for FREE. 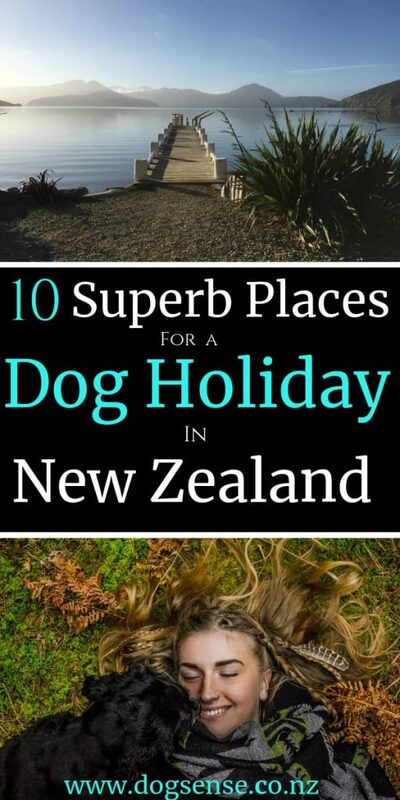 We hope you have enjoyed browsing through the list of top 10 dog friendly accommodation in NZ and if you and your dog are about to take a vacation please let us know in the comments below how it was. A photo would be greatly appreciated!